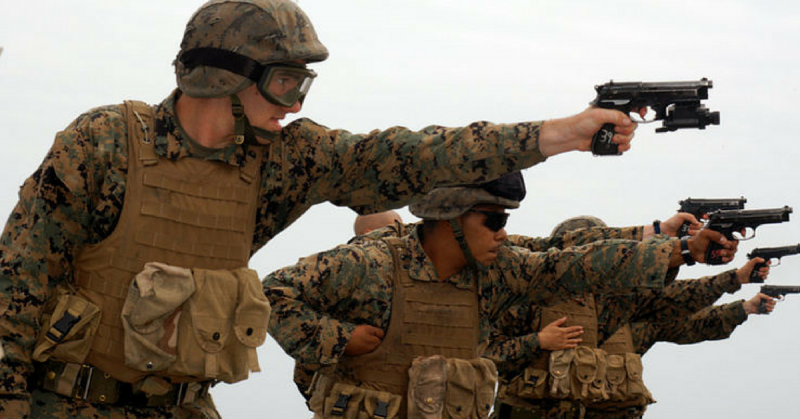 U.S. Marines train with the older M9. It was replaced with the M17 Sig. 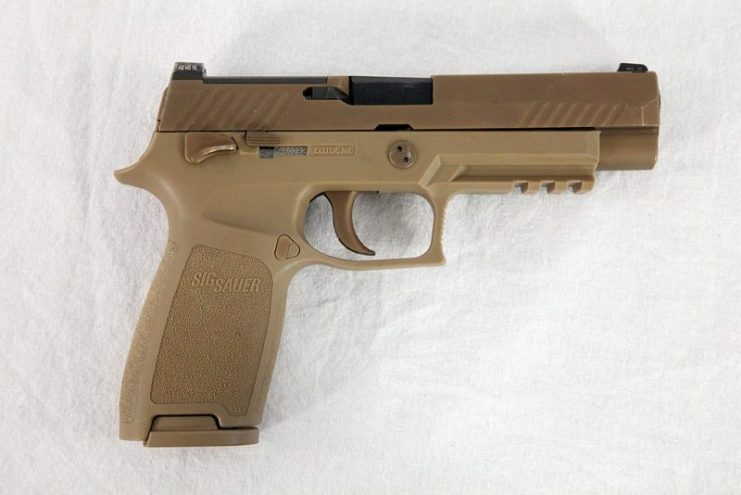 Collectors of military memorabilia or those that are Sig Sauer aficionados are in for a treat as Sig Sauer has announced that it has a limited run of 5,000 for sale to the general public. 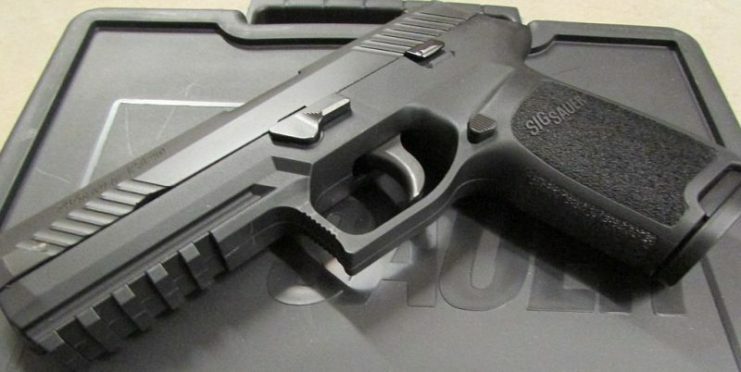 Sig Sauer won a $580 million, 10-year contract with the US military for the supply of a Modular Handgun System. The M17 and M18 will form the major components in this contract. The M18 is a more compact version of the M17 and is designed for use by special security details, the police, and special investigators. The commemorative version of the M17 has been manufactured to the same specification that its military brother carries. 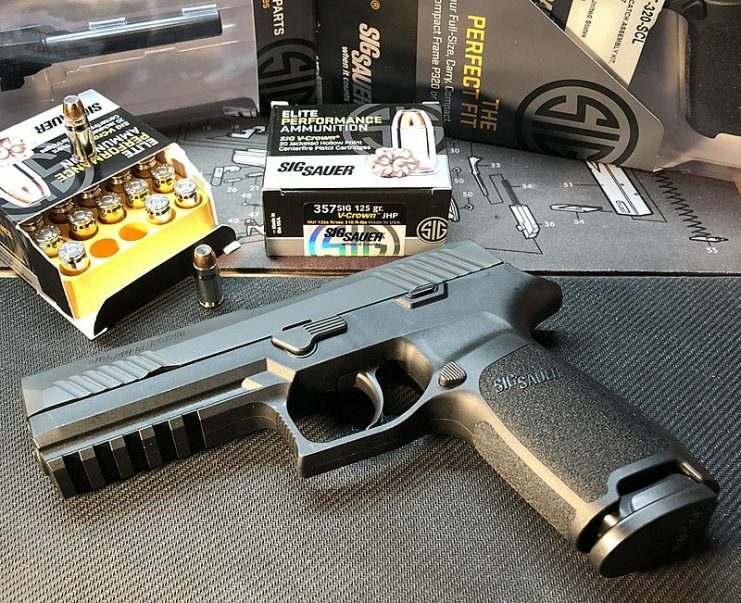 The civilian version of this weapon, the Sig Sauer P320, may look similar but the M17’s internals are far more robust and the drop test misfire issue that caused a media storm last year has been fixed. The commemorative version also has the ambidextrous safety catch that was developed for the military, so soldiers could use either hand to release the safety catch. The pistols will carry the serial numbers ranging from M17-0001 to M17-5000 and will be clearly identified with a unique Army insignia. The specifications for the commemorative M17 include a total length of eight inches, a barrel length of 4.7 inches and it weighs in at 29.6 ounces (including the 17-round magazine). The weapon is 5.5 inches high and is 1.3 inches wide at its widest point. The sight radius is 6.6 inches. The coyote-tan colored commemorative M17 is sold with three magazines. One magazine holds 17 rounds while the other two will hold 21 rounds each. The stainless-steel slide is PVD coated and has the same optic cut that the military version sports. For an additional cost of $200, the public can purchase the pistol in a decorative display box. The commemorative M17 will be shipped to dealers from August and is listed at $1,122. 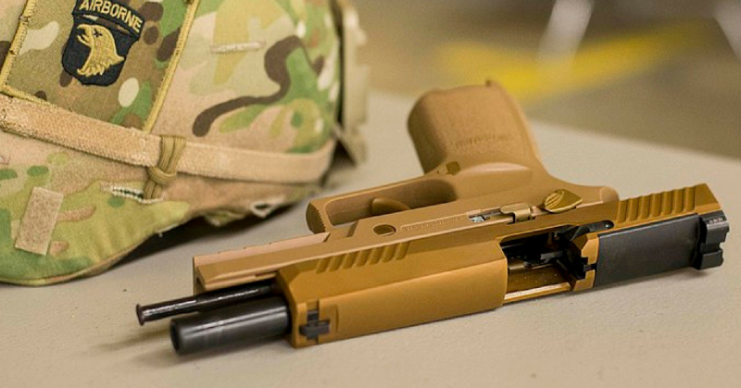 The Sig Sauer M17 is the first pistol that the Military has purchased in decades. It will replace the Beretta M9 which took the place of hardware that had been purchased in World War II. This weapon is not exclusively used by the army and will be found in most branches of the military. The military version of the M17 will come partnered with a Safariland drop holster made of hard plastic and a custom designed aiming laser light combination that is currently under development by Streamlight and LaserMaxDefense. The specifications for the aiming device include the requirement to run continuously for one and a half hours, and it must fit flush with the muzzle and be no wider than one and a half inches. This will ensure it can be used on both the M17 and M18. The army expects this to be ready for field trials in June 2019.